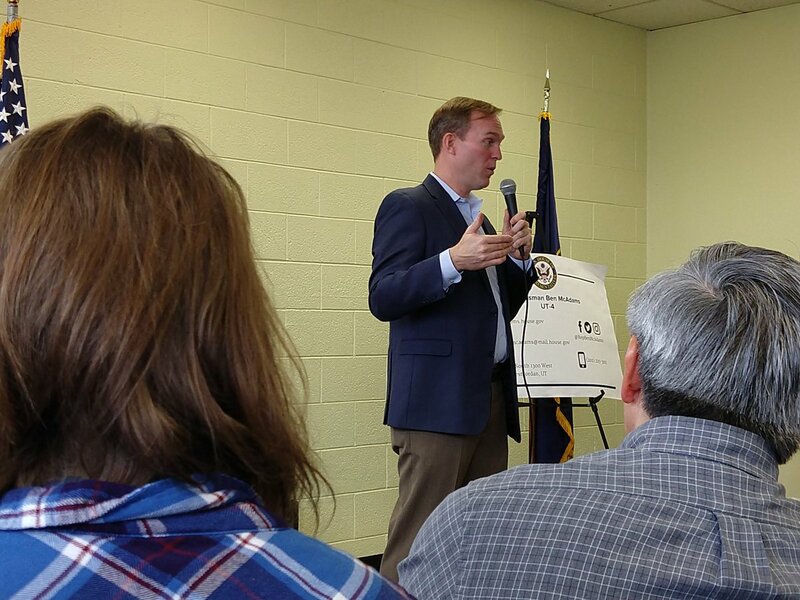 Congressman Ben McAdams (D-Utah) held his first town hall meeting Jan. 19 at the Redwood Recreation Center in West Valley City. This was his first town hall since winning a hotly-contested election against GOP incumbent Mia Love last November. The election race between McAdams and Love was one of the closest in the nation, with the winner being declared by a narrow margin of less than half of a percent. During the election, McAdams vocally criticized Love’s poor track record of holding town hall meetings to listen to her constituents. 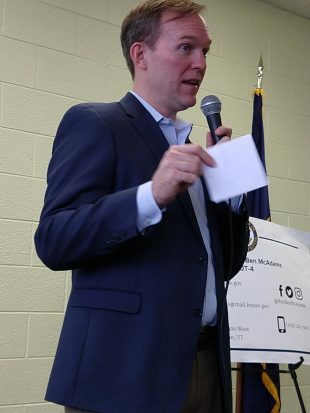 Aware that many of his followers weren’t supportive of him during his campaign, McAdams opened the town hall meeting by attempting a call for unity. “Whether you voted for me or not, I’m here to work for you,” McAdams said. McAdams faced intense questioning from both sides of the political spectrum. Talks ranged from protecting the Affordable Care Act, also known as “Obamacare,” to protecting Second Amendment rights; there was no shortage of hot topics to be discussed. McAdams emphasized the importance of bipartisan solutions in Washington throughout the event. As a former State Senator in Utah, he recounted working across the aisle as a Democrat in one of the most Republican states in the nation. “I wouldn’t have gotten a single thing done if I wasn’t willing to reach across the aisle,” McAdams said. Many on the left questioned the congressman’s stance on bills addressing climate change and whether he would support them. Those from the right pressed McAdams on Second Amendment issues. One man spoke loudly about how he believes that those who try to pass bills limiting the Second Amendment should be “locked up” for trying to infringe on Americans’ right to bear arms. In cases like this, McAdams thanked them for their comments and quickly answered other questions. One topic that came from both sides equally was whether McAdams had a solution to the ongoing government shutdown. One man who spoke was a furloughed (currently working, but without pay due to the shutdown) FBI agent who had experience on the American-Mexican border. He urged McAdams to support solutions that would end the shutdown but would also invest in “smart security” at the border, instead of just a wall across it. The next chance for citizens to talk to McAdams will be Jan. 26 at his district office in West Jordan from 1 p.m. to 3 p.m. More town hall meetings are expected in the coming weeks and months.